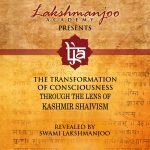 The meaning of the Sanskṛit word upāya is “means.” The word upāya in Kashmir Śaivism is used to indicate the means to enter into Universal God Consciousness from individual consciousness. Our Śaivism proclaims that there are three means for entering into Universal God Consciousness: śāmbhavopāya, the supreme means; śāktopāya, the medium means; and āṇavopāya, the inferior means. Shambhavopaya functions in matrikacakra, pratyahara, and pratibimbavada. By preserving thoughtlessness, that is, not having thoughts and maintaining the continuity of that thoughtlessness, and by the grace of the Master, one enters into that transcendental consciousness where he finds that this whole universe has come out from sentences and sentences from words and words from letters and letters from that real “I” which is Parama Śiva. Here, one finds that this whole universe is reflected in his own consciousness and that it is reflected from within rather than from without. Shambhavopaya is called icchopaya because it originates from iccha shakti (the energy of will), and because it is that means which exists in the state of the meant. disciples for this upaya who are highly developed in awareness. Until then, they will not be accepted by the Master for this upaya. In this upaya, the Master functions more than does the disciple. As the lightning bug has sufficient light to show his own body, there are those yogins that are sufficient only for themselves; they cannot help anybody else. There are also yogins, who like jewels, shine so that their light illumines those that are near. Those yogins that shine like stars illuminate even more with their light. Those that shine like the moon illumine still more. But the Shaivaite yogi, established in shambhavopaya, is just like the sun—he lights the whole universe. Shaktopaya is that upaya which functions by the means of energies. Shaktopaya is called jnanopaya, because it is the means which originates from jnana shakti, the energy of knowledge. Here, the aspirant is more important than the Master because he must make himself capable of receiving the Master’s grace. He must work to develop great velocity of awareness until he reaches the “feet of the Master.” By this I do not mean the Master’s physical feet. “Being at the feet of the Master,” means reaching that state where the aspirant is capable of receiving the grace of the Master. Those that reach that state are said to be at the feet of the Master. In shaktopaya, centering can be practiced between any and all actions and or thoughts. In centering, the yogi must develop great velocity of awareness. Great velocity means firmness of awareness. Awareness must not become loose. If the yogi’s awareness becomes loose, he will be forced out of shaktopaya into the lowest upaya, anavopaya. He will lose the right to tread on the path of shaktopaya. In his practice, there must be continuity in the cycle of his awareness. Only by maintaining an unbroken chain of awareness will he be able to discover the reality between any two thoughts or actions. The practice of centering is meant to function between any two actions or any two thoughts. He can center between any two thoughts or any two movements; between one thought and another thought, between waking and dreaming, between one step and the next step, between one breath and the next breath. 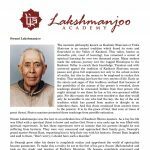 All actions and all thought’s are the proper framework for the practice of shaktopaya. The shaktopaya yogi must simply insert continuous awareness in the center of any two actions or thoughts. If his awareness is faulty and is not breakless, then he falls and enters into the lowest upaya, anavopaya. Anavopaya is concerned with anu, the individual soul. Anavopaya is that upaya, which functions by the process of concentrating on uccara (breathing), karana (organs of sensation), dhyana (contemplation), and sthana prakalpana (concentrating on a particular place). The word uccara means “breathing,” actually concentration on the breath. Concentration on the breath is the essential element of the practice of cakrodaya. In practicing cakrodaya you have to continue breathing deeply and find the point, the center between the two breaths, the incoming breath and the outgoing breath. This is the ending point, the beginning point, and also the center of the span of the breath. In cakrodaya, however, the beginning and ending points of the span of the breath are predominant. This is uccara, concentration on the breath. It can be either with sound or without sound. Karana means “organ” and, in particular, it means “sense organ.” Concentrating on karana means having and maintaining one-pointedness through vision or any other sense organ. In karana, the sense of sight is predominant. For example, in concentrating on karana through the sense of sight, you have to look at a particular thing. You must go on looking without blinking your eyes. You should go on seeing that one point with unbroken awareness. And when that point vanishes, and it should and will vanish when you enter into that vastness of the center, that is the end. If you were to practice concentrating on karana through the sense of hearing, then you would listen to some sound and continue listening and repeating that sound again and again. You can also practice by concentrating on some taste or some particular sensation of touch. In karana, you can employ all the five organs of sensation, however; with the senses other than sight, you must remain aware of where the sensation first arises. This is the way of karana in anavopaya and, in the long run, this creates one-pointedness. The word dhyana means “contemplation.” It is another mode in anavopaya. Dhyana is contemplation on some point. There are different forms of dhyana. For example, you are practicing dhyana when you contemplate on the lotus in your heart, or on the meaning of some mantra such as the mantra “so’ham” or the mantra “Shiva.” This is a higher form of anavopaya because it is contemplation without any shape, without any form. If you were to contemplate on Lord Shiva as having a particular form, a particular shape, that is a lower form of anavopaya. It is contemplation with form. Therefore, any time in meditation that you have mantra, then you have dhyana. And along with dhyana, you can also adjust karana and uccara, but not in the beginning. Sthana prakalpana means concentration on some particular place. The higher form of sthana prakalpana, which is a practice in higher anavopaya, is that practice where you discover where each aspect of reality is found in the span of the breath. You see where the devas (gods) are residing, where the lokapalas (worlds) are residing; where is the location of dawn, where is the location of morning, where is the location of midday, where is the location of sunset (sandhya), where is the location of midnight; where is that location which is the time when the sun moves toward the northern side, and where is that location which is the time when the sun moves to the south. These are all sthana prakalpana, and these are the particular points you have to concentrate on, to discover in the course of your breath. The practice of sthana prakalpana is simply to see the vastness of universe in one breath. The second and lower form of sthana prakalpana, which is a practice in lower anavopaya, is where you concentrate on different points in the body. These particular places for concentration are divided into three. One place for concentration is between the two eyebrows (bhrumadhya). The second place for concentration is the pit of the throat (kantha kupa). And the third place of concentration is the heart (hridaya). All of these processes, uccara, karana, dhyana, and sthana prakalpana, are called the upayas of jiva, the means of the individual, and are the means which exist in anavopaya. world of pure monism (abheda) is shambhavopaya and is called abhedopaya. Shambhavopaya is also called icchopaya, as it is the means which exists in iccha shakti. The means which exists in jnana shakti is shaktopaya and is called jnanopaya. Anavopaya is called kriyopaya because it is the means which is found in kriya shakti. The difference between anavopaya, shaktopaya, and shambhavopaya is this. In anavopaya, the strength of your awareness is such that you have to take the support of everything as an aid to maintaining and strengthening your awareness. Though you concentrate on the center, you must take the support of two things for concentrating on that center. In shaktopaya, your awareness is strengthened to the extent that only one point is needed as a support for your concentration and that point is the center. In shaktopaya, you begin with the center and then become established there. In shambhavopaya, the strength of your awareness is such that no support is needed. You are already residing in the meant. There is nowhere to go, just reside at your own point. The rest is automatic. Beyond these three upayas, shambhavopaya, shaktopaya, and anavopaya, there is another upaya. 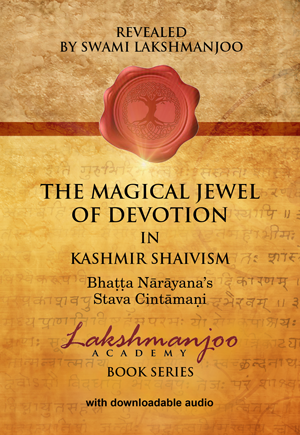 Although it is not actually an upaya, yet it is mentioned in Kashmir Shaivism. This upaya is called anupaya. The word anupaya means “no upaya.” Thoughtlessness is called shambhavopaya. One-pointedness is called shaktopaya. Concentration on and with the support of mantra and breathing and all other elements is called anavopaya. Above all of these is anupaya. In anupaya, the aspirant has only to observe that nothing is to be done. Be as you are. If you are talking, go on talking. If you are sitting, go on sitting. Do not do anything, only reside in your being. This is the nature of anupaya. Anupaya is attributed to ananda shakti of Shiva and is called anandopaya.